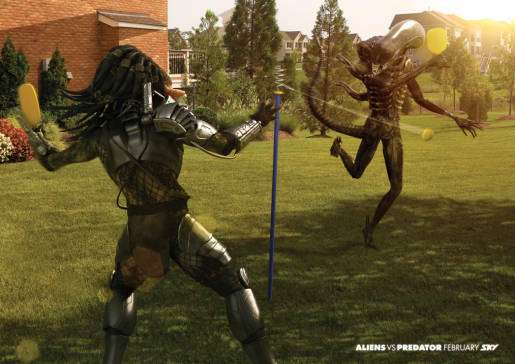 SKY Television is promoting its screening of Aliens Vs Predator in New Zealand with a print advertising campaign featuring relatively friendly contests between the two monsters, using chess, swingball and pool (eightball). 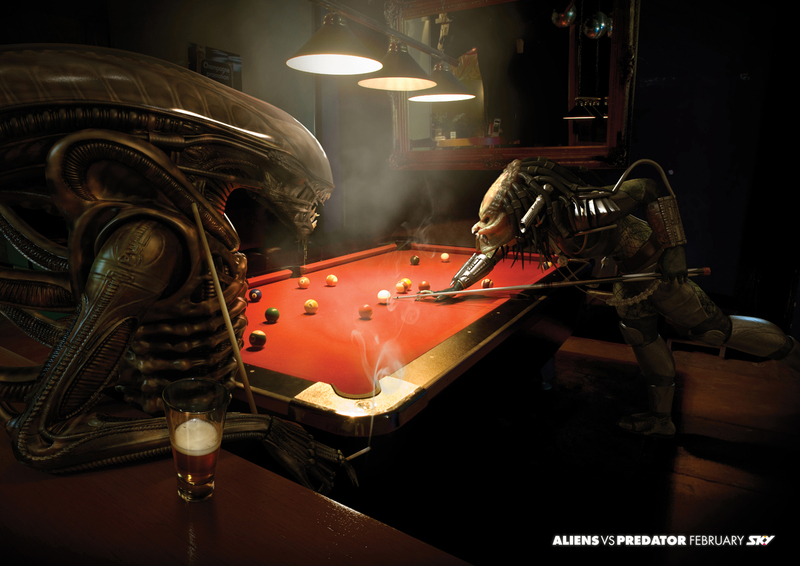 The Aliens vs Predator campaign was developed at DDB New Zealand by executive creative director Toby Talbot, head of art Mike Davison, copywriter Paul Hankinson, art director Gavin Siakimotu, account director Danielle Richards, with designer Cliff Li, retoucher Gordon Moir, 3d Artists David Partridge, Ben McGrall and Ben Parry (3D Cluster). 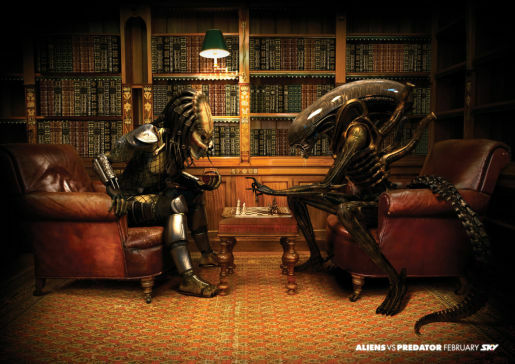 Media was placed by Fay Laurenson and Beena Unka, OMD. See the 3D Cluster behind-the-scenes diagrams.